This collection of 174 Christmas Quilt Patterns and Projects is your ultimate guide to Christmas quilting. Decorate your home for the holidays with quilted Christmas tree skirts, quilted stockings, Christmas quilts, table runners, and more. You'll find all the patterns you need to give your home that cozy and festive holiday charm. Whether you love patchwork, quilting, or applique, you're sure to discover a Christmas quilt project that will keep you occupied in your sewing room this winter. Take The Christmas Quiz to find out which projects you should make this holiday season. This free quiz will offer you some great ideas for Christmas. 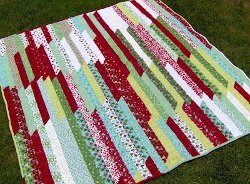 Get into the holiday spirit early and check out all of the free Christmas quilt projects that we have to offer. 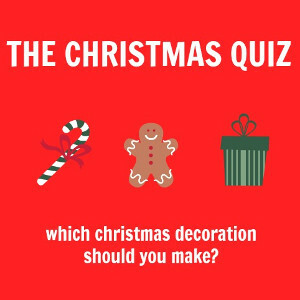 Whether you end up making a simple ornament or a DIY throw pillow, we guarantee that you'll have fun with this quick and simple quiz. Send The Christmas Quiz to your fellow quilters, friends, and family. Everyone will want to get quilting for the holidays. 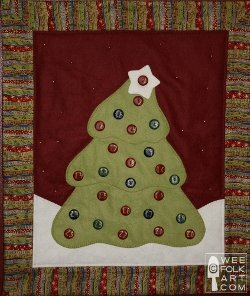 Get ideas for all kinds of appliqued and quilted Christmas ornaments in Quilt Christmas Ornaments! 17 Projects to Hang on Your Tree. 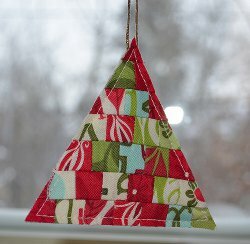 Patchwork ornaments are a wonderful way to use up fabric scraps and decorate your tree with a homemade touch. Quilt Christmas ornaments in a coordinated collection for your own tree, or make batches of the same ornament to give away as gifts to neighbors, friends, teachers, and coworkers. Deck out your mantel with these 14 Christmas Stocking Quilt Patterns. 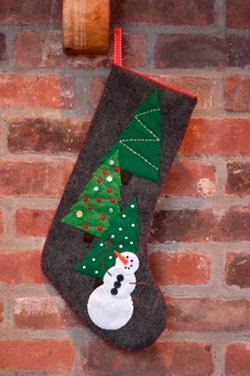 These cute and creative Christmas stocking patterns include ideas for everyone in the family. Make a very first Christmas stocking for a little one in your life, or make a fun and feminine stocking for a sister, daughter, or friend. We also have plenty of classic Christmas stockings that are perfect for the whole family, so your mantel will have a unified style. 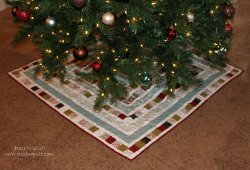 Make the tree skirt underneath your Christmas presents just as special as the gifts themselves with these 12 Cozy Christmas Tree Skirt Quilt Patterns. 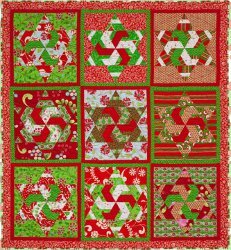 Whether you like round or square, patchwork or applique, you'll find a quilted Christmas tree skirt pattern in this collection to suit your tastes. 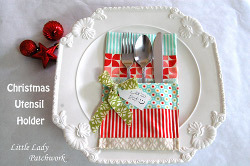 This collection of Christmas ideas is designed just for your dining room. We've put together a collection of table runners, table toppers, and holiday recipes to make your Christmas dinner extra special. 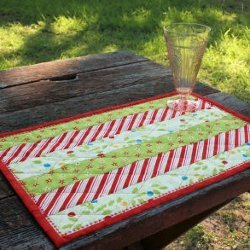 This list of 16 Christmas Quilt Table Runner Patterns and Easy Christmas Recipes combines the creative quilt projects from FaveQuilts.com with the tasty recipes from our friends at Mr. Food for a comprehensive guide to a beautiful and delicious Christmas feast. Download this printable guide to quilted Christmas decorations for step-by-step instructions and patterns you can keep on hand in your sewing room. Deck the Halls: 8 Free Christmas Quilt Patterns has all the patterns you need to decorate your home in quilts this Christmas. Don't miss out on these awesome printable patterns! 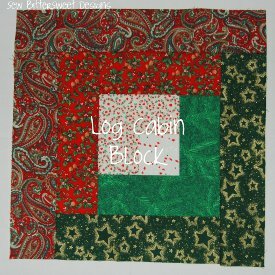 If evergreen trees are your favorite symbol of Christmas, then these Christmas quilt projects are for you! 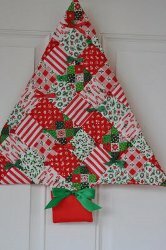 This list of 14 Christmas Tree Quilt Projects includes all kinds of projects to decorate your home for the holidays. You'll find ornaments, quilt blocks, wall hangings, and more. 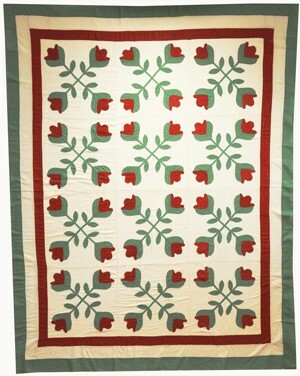 18 Quilt Patterns for Christmas is a collection of quintessential Christmas quilt patterns. From bed quilts to throws to wall hangings, these quilt patterns will deck your house in Christmas spirit. Find both traditional patchwork patterns and whimsical applique patterns to help you celebrate the season. If you're in need of some gorgeous Christmas quilt patterns to decorate your home, The Best Free Quilt Patterns for Christmas: 10 Quilt Blocks, Christmas Ornaments to Make, and More has ideas for full quilt patterns, as well as small quilt projects that you can hang all over the house. Not sure how to make your home decor stand out? There's no need to worry if you make some of the patterns from Decorating for Christmas: 18 Easy Quilt Patterns and Free Christmas Quilt Patterns. These table runners, toppers, and decorations will make your home look amazing! The Season's Best Quilt Blocks: 14 Free Quilt Block Patterns has classic and contemporary quilt block patterns that you can use to start your next Christmas quilt pattern. In need of a quick idea? 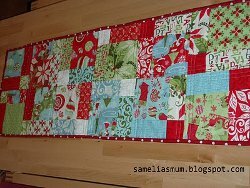 With these 5 Free Christmas Quilt Patterns and Quilt Blocks for the Holiday Season, you can find both full Christmas quilt patterns and block patterns that will become the start of a gorgeous new quilt. In this collection of Our Top 18 Free Quilt Patterns for Christmas: The Most Festive Quilt Blocks, Decorative Quilt Patterns, and More, we show off some of the most popular printable patterns in our Christmas quilts section. Winter is the perfect season to wrap up with a cozy quilt. 'Tis the Season to Be Jolly: 11 Winter Quilt Patterns is your guide to an awesome winter or Christmas quilt this holiday season. We have everything from quilt blocks to DIY home decor ideas. If you're having trouble thinking of the perfect gift for one of your kids or grandkids, then these quilt design ideas will give you instant inspiration. A DIY quilt is the best gift idea ever because the recipient knows how much love you put into your gorgeous quilt. We are so giddy to share these patterns with you. Your winter wonderland will look so much better with these DIY quilts. What's your favorite Christmas tradition? Let us know below in the comments! I love this site it is the most helpful site I have encountered. Thank you! Wow! With this collection, I'll be all set for Christmas gifts!